Ericsson’s earlier RBS lineup combined both indoor and outdoor base stations with options for single-sector and multiple-sector configurations. They continue to be added to bolster networks because they are reliable, energy efficient, and continually supported by Ericsson. Optimize your network and improve your bottom line when you buy Ericsson RBS 2000 Series Base Stations. Operators can select refurbished Ericsson RBS 2000 units from Worldwide Supply to expand their network with significant coverage and build additional capacity for today’s radio applications in multiple settings. Ericsson RBS 2000 units operate across the major three 3GPP technologies: including LTE, HSPA/WCDMA, and GSM/EDGE networks. 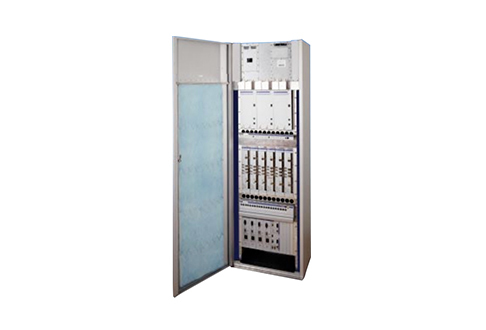 The used Ericsson RBS 2000 is one of the most common deployments for GSM radio networks thanks to its small footprint and broad flexibility. These radio base stations deliver significant radio performance and offer a variety of unique features to help you expand and deliver services in urban and rural settings, plus support existing networks that are delivering in-building application support. Indoor and outdoor Ericsson RBS 2000 series units are designed to give you long-lasting support for more customers even as your ability to grow via new sites is limited. Each successive unit focuses on a stronger network with the same or a smaller footprint. Used Ericsson RBS 2000 units provide a variety of significant benefits to your operations from reliable operation and simple, fast installation and management to support for a variety of RBS 2000 series and RBS 200 series products. The lineup makes expansion simple even when base station locations are limited. You’re able to fit up to 12 transceivers per cabinet in a small footprint and maintain world-class supply flow, making the units successful in many confined spaces. It’s time to build your network’s backbone. Worldwide Supply offers a variety of used and refurbished Ericsson RBS 2000 for sale to help you make the most of your high-speed, high-capacity mobile broadband network and services. Pico Supports GSM 900, 1800 and 1900Mhz operation.